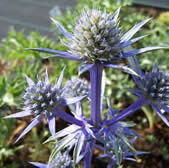 Eryngium agavifolium Green, thimble-like flowers on short stalks held on tall stems from August to October. 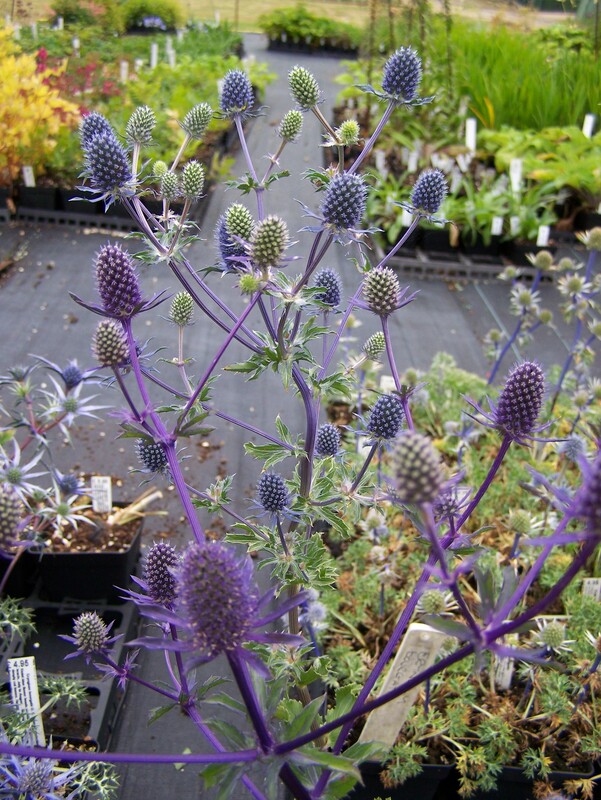 Rich green, sword-like, toothed, leaves, evergreen. Height 150cm. Spread 60cm. 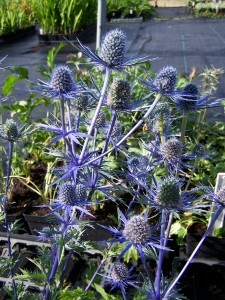 Eryngium alpinum AGM Stout stems bear conical, purplish-blue flower heads, surrounded by blue bracts from June to August. Heart shaped, green, leaves form a basal rosette. Height 60 to 75cm. Spread 30cm. 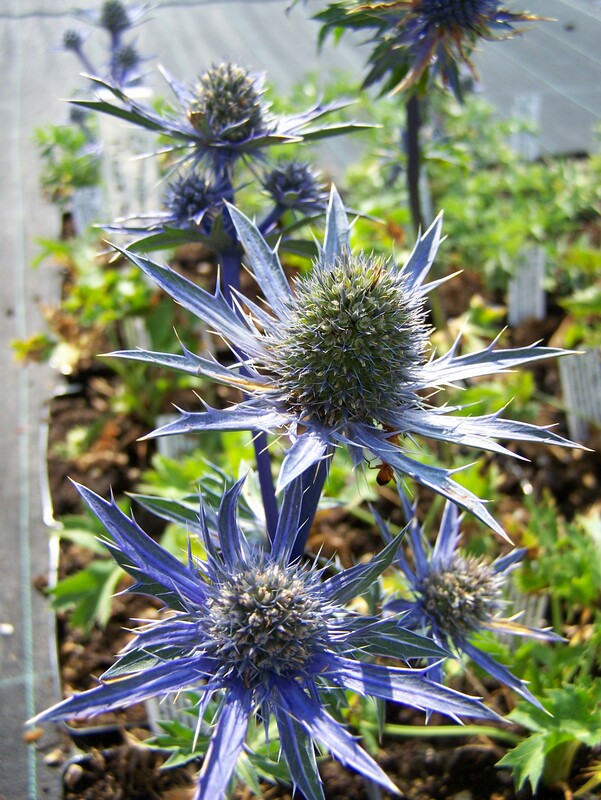 Eryngium bourgatii Carries heads of thistle-like, silver-blue flowers on branched, wiry stems, in July and August. Deeply cut, grey-green leaves with paler veins. Height 45cm. Spread 30cm. 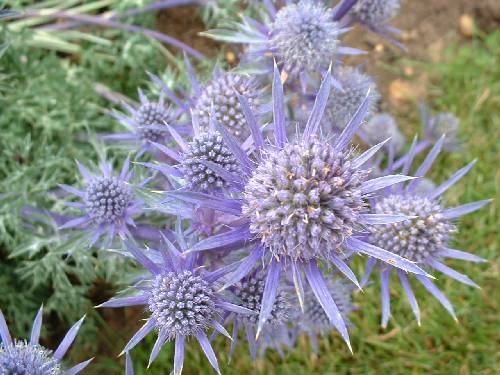 Eryngium planum Light blue flower heads, surrounded by blue green, spiky, bracts. Mid green, rounded, basal leaves. Height 90cm. Spread 45cm. 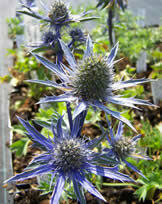 Eryngium variifolium Stiff stems that bear green flowers heads in July and August. Shiny, dark green, toothed leaves with white veins, evergreen. Height 45cm. Spread 25cm. 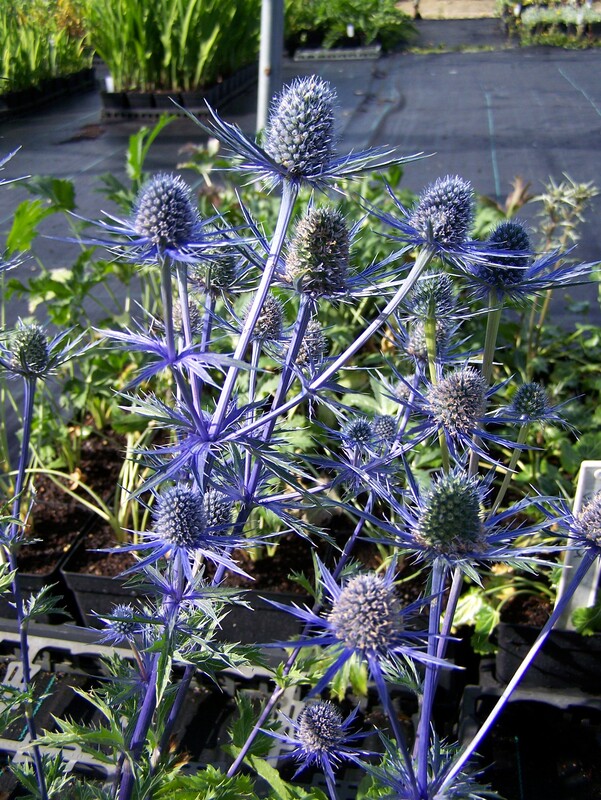 Eryngium x zabelii ‘Jos Eijking’ Intense lavender blue tinted flowers and stems, July to September. Jagged edged basal leaves with paler veins. Height 70cm. Spread 30cm.